If you’re accountable for the dollars your company spends on social media-related marketing and you’re looking for evidence that socially engineered content and engagement marketing lifts sales, here’s some good news. 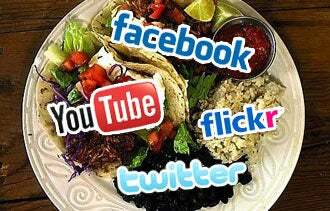 A just-released study shows that consumers -- patrons of five fast-food franchises in this case -- are much more likely to pull out their wallets and purses after being exposed to social content on sites like Facebook and Twitter than those who aren’t. Moreover, when exposed to socially engineered content and other types of media (e.g., television ads, billboard campaigns and public relations efforts resulting in earned media placements) the likelihood for a bigger spend, consumption or brand perception is increased by a whopping two to seven times. These findings — from the latest Social Media Sales Impact Study (published by Ogilvy & Mather and ChatThreads) — reinforce the importance of having an integrated multichannel marketing campaign that includes creating and leveraging conversational and user-generated content. The study also shows that you shouldn’t put all your eggs into one basket. Exposure to several fast-food brands via social media reached only 24 percent of the consumers involved in the exercise. That’s low when compared to 69 percent of survey participants who reported having taken note of a TV ad for one of the restaurant brands during a weeklong test period. Billboards for one or more of the five chains (KFC, McDonalds, Subway, Taco Bell and Wendy's) caught the eye of only 37 percent of consumers. But the study shows that exposure to multiple channels — a combo plate involving social media along with television exposure, billboards, public relations or other advertising avenues — positively impacts sales. For instance, consumers exposed to social media combined with public relations showed a 17 percent increase over purchases without such dual exposure. Those who experienced social media exposure along with a TV ad were two times more likely to purchase more that they did the week before. And brands that combined social media mentions with billboard advertising increased sales by one and a half times. What are the implications of this study? First, it suggests that those who employ social content should increase customer and prospect exposure in order to impact sales and brand perception. Even more important, the report shows that integrating other media channels into your content results in the biggest impact on consumers. Use surveys, loyalty program tracking and coupons when evaluating the sales impact of your social content. Don’t depend solely on direct clicks. By monitoring your social media closely, you can also discover and remedy any negative press about your brand, product or service, because these certainly affect brand perception. In fact, Taco Bell had a 220 percent lower shift in consumer perception of the chain providing a “great dining experience,” -- a direct result of a socially charged news cycle involving ingredients used in Taco Bell’s meat products around the time of the study. You should also plan your social content in a manner that best emphasizes the qualities with which you want the public to be aware. The goal is to reinforce your brand’s uniqueness, and that means promoting broad discussion on your brand in order to keep your social content fresh and up-to-date.